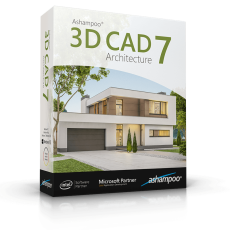 Ashampoo 3D CAD Architecture is for all who want to make their visions a reality. The integrated step-by-step wizard will get you reliable results fast. 2D, 3D and cross-section views help you keep an eye on your project and spot missing parts or sections that need more work. Whether you're building or redecorating a house - visualize in advance what the finished project will look like! Ashampoo 3D CAD Architecture supports loading, editing and saving of various new 3D object formats. This gives you access to millions of 3D objects! Simply import them and add them to your designs! With support for SketchUp or Collada models, you can now instantly use numerous generic and brand-specific models. 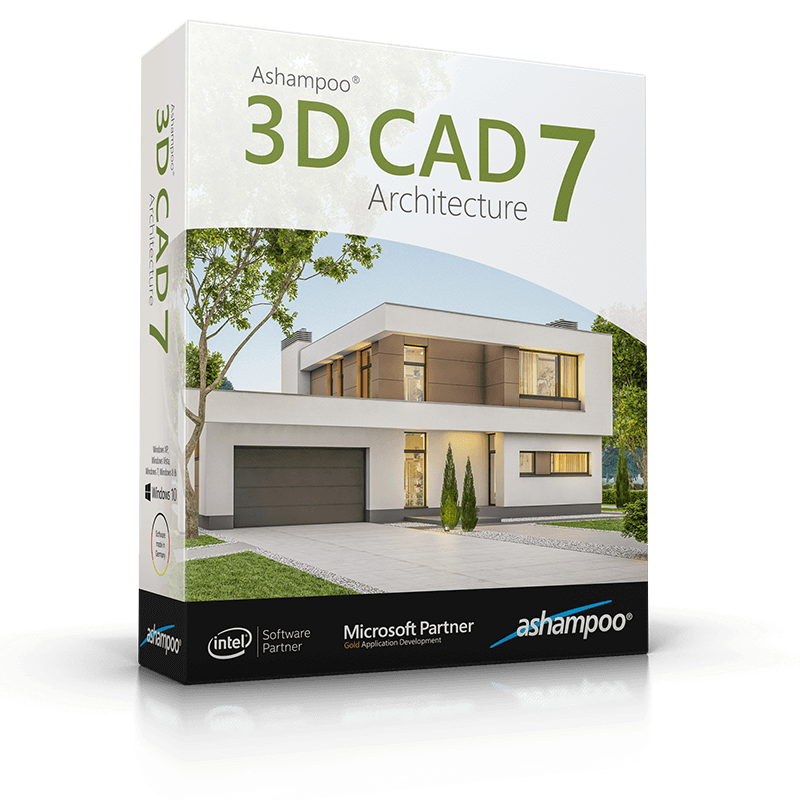 Whether you're simply taking a peek at your future dream house or plan on building it - Ashampoo 3D CAD Architecture has what you need. Smart wizards help you avoid planning errors, numerous objects and appliances are ready for installation. Realistic down to the last detail - so nothing goes wrong in the process. Ashampoo 3D CAD Architecture is also the perfect tool to redecorate your house and garden. Layout everything perfectly in advance and get an idea of your future home. It's the easiest way to avoid nasty surprises and disappointment. Everything fits in harmonically. Thanks to a large selection of furniture, decorative elements and plants, you can give free reign to your creativity. And for a more realistic impression the program can even simulate light and shadow effects. Whether you're planning your dream home or just need to redecorate, Ashampoo 3D CAD Architecture offers a myriad of new options! You can finally import SketchUp and Collada objects and access millions of new objects. Planning photovoltaic system has never been easier or more precise and designing spacious areas is now a breeze thanks to support for raster elements. Naturally, this includes calculations to find suitable offers quickly. You can now also mirror and edit 3D objects and 2D symbols with ease. Got big plans? Ashampoo 3D CAD has you covered!